26 Marvelous Healthy Benefit of Pomegranate – Green Fruit Effect! The hidden benefits of special foods. Eat Better. Live Better. Pomegranates are among the healthiest fruits on earth. Ruby red, delicious and nutrient rich pomegranates pack a mighty punch in safeguarding your health. Pomegranate contains a unique and powerful antioxidant called punicalagin, the most abundant antioxidant in pomegranate, responsible for more than half of the antioxidant activity of pomegranate juice. Pomegranate is a thick skinned super seedy fruit, with a brilliant red hue which is now touted as a wonder fruit by scientific researchers. The name pomegranate derives from the French word “pomegranate” or seeded apple. They are believed to have originated in Iran and brought to Egypt in 1600 BC, where it was not only revered as an important food source but was also widely used for its medicinal value. It was held in high esteem even during those times, as it is evident by their depiction in Egyptian paintings and tombs. Inspired by the abundance of jewel toned seeds within the bright red rind, pomegranate is considered to be a symbol of fertility and prosperity in some cultures. Pomegranates have been a popular fruit in the Middle East, India and other Asian countries for some time. However, they are growing in popularity around the world, owing to their many health benefits and rich nutritional value.They also have antiviral, antitumor and anti-inflammatory properties. Being relatively low in calories, this fruit can be enjoyed by anyone watching their weight. Pomegranate has-Fiber,Protein, Vitamin C, Vitamin B, Vitamin K, Folate, Iron, Potassium, Niacin, Thiamin, Riboflavin, Carbohydrates, Fat, Mangesium, Phosphorus, Manganese, Selenium, Zink, Omega-6 fatty acids and carbs. These glorious red fruits, pomegranates known for their amazing medicinal powers. The arils or seed pods can be eaten raw or made into juice. The juice has a distinctly tart flavor. The arils can also be added to soup, savory dishes, smoothies and desserts. The seeds are also used to make oil, which has many cosmetic and health benefits. Pomegranate syrups are useful for treating damage to cartilage and protects babies from brain damage incurred during their birth. These are just two of the important reasons that pomegranates have been turned to for their medicinal benefits since ancient times. There is some evidence that pomegranate can improve memory. Pomegranates can also improve memory as well as prevent and treat Alzheimer’s disease. The polyphenols in them are thought to provide positive cognitive benefits. Pomegranate supplements taken before and after surgery prevented the postoperative memory dysfunction associated with coronary artery bypass or heart valve surgery. A 2013 study published in Evidence Based Complementary and Alternative Medicine notes that daily intake of pomegranate juice improves memory and functional brain activity in middle-aged and older adults with mild memory complaints. Regular intake of pomegranate juice can maintain good flow of the blood in the body. Because of this property, it subsequently decreases the risk of heart attacks and strokes. Pomegranate juice can have a great impact on heart health, by keeping the arteries flexible and decreasing the inflammation in the lining of the blood vessels. It is known to reduce atherosclerosis, which is one of the leading causes of heart disease. It lowers the risk of blockage in the arteries which can cause a restriction in the flow of blood to the heart and brain. In other words, due to pomegranate phytochemicals, it has an anti-atherogenic effect on the heart. It lowers the amount of LDL or bad cholesterol that is retained in the body and increases the amount of good cholesterol or HDlL. In a study in 51 people with high cholesterol and triglycerides, 800 milligrams of pomegranate seed oil per day for 4 weeks was shown to significantly lower triglycerides and improve the triglyceride:HDL ratio. Although pomegranate juice contains fructose, it does not elevate the blood sugar levels as other fruit juices do. Studies have shown that there was no significant increase in the blood sugar level of diabetic patients who drank this juice daily for a period of 2 weeks. Regular intake of pomegranate juice has been shown to lower blood pressure levels in as little as 2 weeks. Pomegranates are good for people dealing with high blood pressure, also called hypertension. The high antioxidants, vitamin C and polyphenols stimulate the production of nitric oxide, which keeps blood flowing and arteries open. Pomegranates are also known to reduce high blood pressure. The juice reduces lesions and the inflammation of blood vessels in heart patients. It is a natural aspirin, which keeps the blood from coagulating and forming blood clots. It even acts as a blood thinner allowing for an unrestricted flow of blood through the body. A 2011 study published in Complementary Therapies in Clinical Practices says that pomegranate juice consumption inhibits serum angiotensin converting enzyme activity and reduces systolic blood pressure. Pomegranates contain high levels of antioxidants called flavonoids. These flavonoids are known to be effective in counteracting various cancer radials. People that face high risk of prostate and breast cancer should start drinking the juice of this fruit, as it will help them to reduce the risk of developing cancer. Regular consumption of pomegranates can reduce the PSA levels in the body and aid in the fight against existing cancer cells in the body. Pomegranate juice eliminates free radicals from the body and inhibits the growth and development of cancer and other diseases. Its high contents of anti- oxidants stimulate the white blood cells to neutralize toxins in the body thereby promoting a strong and healthy immune system. Pomegranate is believed to induce apoptosis, a process where the cells destroy themselves. Daily intake of a glass of pomegranate juice can slow down the growth of cancerous cells in prostate cancer. Moreover it appears to block aromatase, an enzyme that converts androgen to estrogen, a hormone which plays a crucial role in the development of breast cancer. It is even effective at treating and preventing lung and skin cancer. Thus, including pomegranates in your diet is important if you have a higher risk for cancer. Pomegranate peel, bark and leaves are used to calm disorders of the stomach, or the diarrhea caused by any kind of digestive problems. Drinking tea made from the leaves of this fruit also helps in curing your digestive problems. Pomegranate juice is also used for handling problems like dysentery and cholera. Pomegranate juice has strong anti-bacterial and anti-microbial properties which help fight viruses and bacteria and boost our immunity system. It significantly reduces microbes that are found in the mouth commonly responsible for cavities and staph infections. Its anti-microbial properties make it an inhibitor of HIV transmission. Out of all the fruits, pomegranate has the highest potential to inhibit the transmission of HIV. This super food is even beneficial for those suffering from iron-deficiency anemia. The iron in pomegranates increases red blood cell count. This leads to an increase in hemoglobin in the blood and even promotes healthy blood flow. Plus, the high amount of vitamin C in them aids the body in absorption of iron. Healthy blood flow can be maintained in the body by consuming this fruit in any form. Pomegranate supplies iron to the blood, thus helping to reduce symptoms of anemia, including exhaustion, dizziness, weakness, and hearing loss. Mixing some candied sugar in pomegranate juice and introducing a couple of drops in the nostrils is a quick fix to control nose bleeds. It is an excellent remedy for red or sore eyes and falling eye lashes. Pomegranate juice aids in the smooth functioning of the stomach, heart and liver. This juice induces hunger and can even control thirst. Therefore it is a great choice of drink during summers. It also soothes urinary tract infection and eases the flow of urine. The high amount of dietary fiber, both soluble and insoluble in pomegranate juice helps to improve digestion and regulate bowel movement. Since it has no saturated fats or cholesterol, it is highly recommended for those aiming to lose weight. Pomegranates help reduce illnesses of many forms, including atherosclerosis and osteoarthritis. The damages that are caused due to the thickening and hardening of the arterial walls and in the cartilage and joints can be cured by eating this fruit. 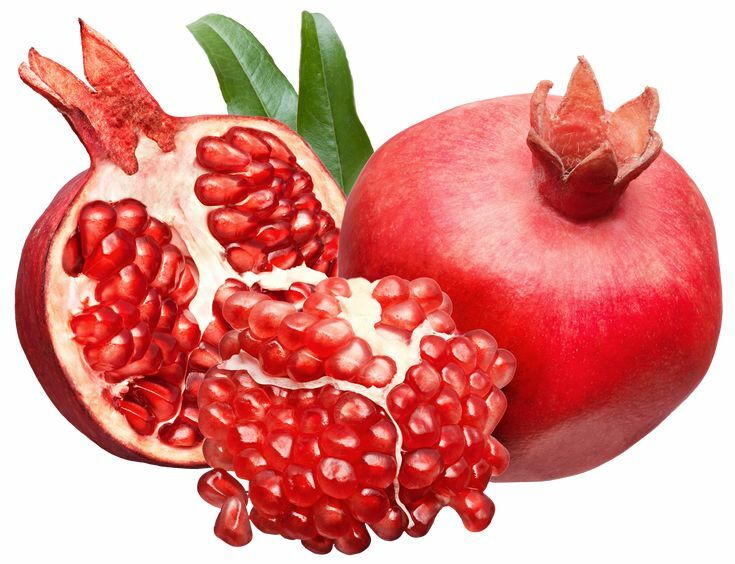 Also, pomegranates are capable of preventing the creation of enzymes that are responsible for breaking down connective tissues within the body. Joint and arthritis pain is a major problem among old people, especially women. To get relief from osteoarthritis, rheumatoid arthritis and overall joint pain, include pomegranates in your diet. Pomegranates have anti-inflammatory as well as antioxidant properties that help block enzymes known to damage joints and cause pain and stiffness. Pomegranate juice acts as an inhibitor on enzymes that are responsible for damaging the cartilage. It is therefore highly recommended for patients suffering from osteoarthritis, a chronic condition characterized by the breakdown of the joint’s cartilage. Studies conducted have proved the application of this juice to reduce deterioration of the cartilage. Unsweetened pomegranate juice relieves symptoms of arthritis and bone inflammation. A regular intake of this juice may curb the onset of neurological problems like Alzheimer disease. It is also known to dissolve kidney stones and cures erectile dysfunction in men. One of the best benefits of pomegranates is that their juice, along with its antibacterial and antiviral properties, helps to reduce the effects of dental plaque and protects against various oral diseases. Pomegranate juice is extremely beneficial for pregnant women. It is a great source of a number of vitamins and minerals including folic acid which is a crucial element of a pre natal diet. The anti-inflammatory property of pomegranate juice ensures a healthy blood flow, which is essential for the overall development of the foetus. The potassium content in this juice can also help prevent leg cramps that are generally associated with pregnancy. When consumed regularly by expectant mothers, it is known to lower the risk of premature child birth or birth of babies with low birth weight. Pomegranate has potent anti-inflammatory properties, which are largely mediated by the antioxidant properties of the punicalagins. One study in diabetics found that 250 ml of pomegranate juice per day for 12 weeks lowered the inflammatory markers CRP and interleukin-6 by 32% and 30%, respectively.The punicalagins in pomegranate juice have been shown to reduce inflammation, one of the leading drivers of many killer diseases. In a study of 19 athletes running on a treadmill, 1 gram of pomegranate extract 30 minutes before exercise significantly enhanced blood flow. This led to a delay in the onset of fatigue, and an increase in exercise efficiency. The plant compounds in pomegranate can help fight harmful microorganisms. For example, they have been shown to be beneficial against some types of bacteria, as well as the yeast Candida albicans. The anti-bacterial and anti-fungal effects may also be protective against infections and inflammation in the mouth. This includes conditions like gingivitis, periodontitis and denture stomatitis. Punicic acid, also known as pomegranate seed oil, is the main fatty acid in the arils( seeds). It is a type of conjugated linoleic acid with potent biological effects. Oxidative damage can impair blood flow in all areas of the body, including erectile tissue. Pomegranate juice has been shown to be beneficial in increasing blood flow and erectile response in rabbits. Research published in the Journal of Urology states that pomegranate juice can also be very helpful in curing erectile dysfunctions based on animal studies. Researchers from University of California and Beverly Hills have also found that pomegranate juice improved erectile dysfunctions when they conducted tests on 61 men. The study was however sponsored by a pomegranate juice manufacturer. A diet high in pomegranate juice can help to slow down the process of ageing by reducing wrinkles and fine lines caused by constant exposure to sun. It also helps to sustain the regeneration of the skin cells and prevents hyper pigmentation and occurrence of dark spots. Pomegranate juice works wonders for dry skin. Its small molecular structure penetrates deeply into the skin to provide ample moisturisation and hydration to the skin. Thus it soothes dry and irritated skin. Its content of punicic acid, an omega 3 fatty acid keeps the skin constantly hydrated by sealing in the moisture. Pomegranate juice is beneficial for oily and pimple prone skin too. Application of pomegranate juice on oily skin prevents the outbreak of pimples and controls the production of sebum. Pomegranates are also known to extend the life of fibroblasts which are responsible for the production of collagen and elastin that tighten the skin and prevent the formation of fine lines and wrinkles. Collagen and elastin provide strength and support to the skin. When the fibers of collagen and elastin break down, the skin develops laxity which causes wrinkles and jowls. Pomegranate is also very useful for lightening the skin tone. Drinking a glass of pomegranate juice daily gives a fair and glowing skin tone. Mix 1 teaspoon each of powdered green papaya, grape seed oil, and grape seed extract with 2 teaspoons of pomegranate juice and apply it on the face. Leave it on for about an hour and wash it off with lukewarm water. You can also use a cotton ball to apply pomegranate juice directly on the face after cleansing. Pomegranate contains anthocyanins and hydrolysable tannins which possess strong anti-oxidant and anti-tumor promoting properties. When applied directly on the skin, ellagic acid, a polyphenol antioxidant found in pomegranates inhibits the growth of cancer of the skin. Pomegranate helps in the regeneration of cells in the epidermal and dermal layers of the skin. It has an ability to hasten the process of healing of wounds. Even the oil of pomegranate seeds is loaded with skin friendly nutrients which are beneficial for the strengthening and regeneration of the epidermis. It also protects the skin from sun burns and heals the damage caused to the skin due to constant exposure to the sun. Over time, more and more people have started to realize the importance of eating pomegranates. There are other benefits of eating this fruit as well, like reducing the possibility of having premature babies and avoiding low birth weight for newborn infants. Pomegranates also reduce the possibility of developing Alzheimer’s disease among older generations. It helps to control aging problems like wrinkles as well, thus providing people with youthful and glowing skin. Other than this, it can help women overcome depression symptoms during their period, especially post-menopausal depression. But POM (Production and Operations Management) Wonderful is, in fact, 100 percent pomegranate juice; it is “superior” to other juices, UCLA researchers said. Their research showed it packs more antioxidants than grape, blueberry, and orange juices. It even edges ahead of green teas and wine. If you want to enjoy the health benefits outlined in the article, then you can either eat the pomegranate arils (seeds) directly, or drink pomegranate juice. At the end of the day, pomegranates are among the healthiest foods on the planet. They have wide-ranging benefits, and may help reduce the risk of all sorts of serious diseases. 1. Keep monitoring your blood pressure level when taking pomegranates to lower blood pressure, especially when taking blood pressure medication. 2. People with certain plant allergies and asthma are always at a greater risk of developing an allergic reaction to this fruit. General allergic reactions-vomiting, red itchy eyes, hives and difficulty in breathing. 3. Pomegranate can also interfere with antidepressants medication for AIDS and narcotic pain reliever.